Get in touch with Cynthia! CYNTHIA SANTANA offers adventure trips and spiritual counseling. She is a Certified Transformation Oracle Reader. 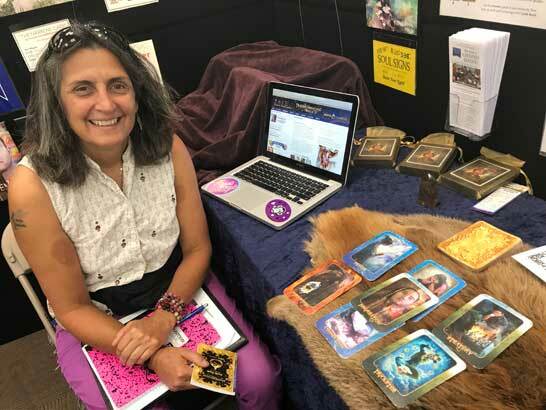 "Sonya Shannon's amazing art work comes to life as she takes you on journey of personal self discovery and insight in her weekend intensive classes with the Transformational Oracle Cards. Whether you are new to oracle card reading or a seasoned veteran, you will love this class. Her stories and in-depth spiritual downloads will keep you on the edge of your seats, begging for more — 3 days is just not enough. The seekers that are magical, drawn to this class, fill the room with their high vibration. Everyone's gifts come out over the course of this weekend, as you are transformed though the cards." Get a Reading with Cynthia! 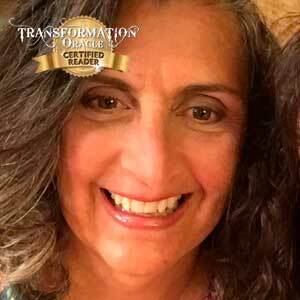 Please call or text 720-837-5029 or click here to email Cynthia to schedule a Transformation Oracle reading. Ask about a Skype reading with Cynthia! Cynthia is also available for adventure trips and spiritual counseling. Explore Cynthia’s transformation story, Heart, Soul & Service. Read Cynthia’s research on Transformation Through the Elements.